It’s ironic that Johnny Gill would call his new album “Game Changer” especially since he’s already changed the game over the past 31 years not only as a solo artist, but also with New Edition, LSG and Heads of State. What he’s given us is another quality body of work that fits exactly what the contemporary r&b crowd is looking for. A real gem on the album is the New Edition collaboration which represents the group’s first new recording in a decade and something their fans have been longing for. It’s great to see that Johnny fully understands the r&b landscape nad refuses to comprise who he is, instead staying true and delivering quality r&b music. 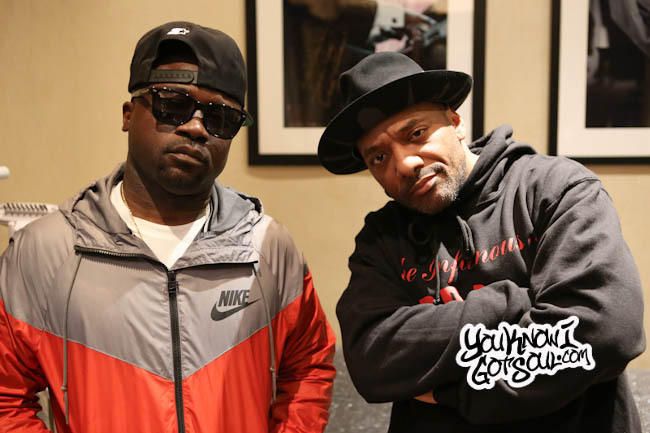 YouKnowIGotSoul sat down with Johnny on the day of his album release for this interview and discussed the creation of the new album, where he gets his motivation after 31 years, working with New Edition on new music, future collaborations, and more. 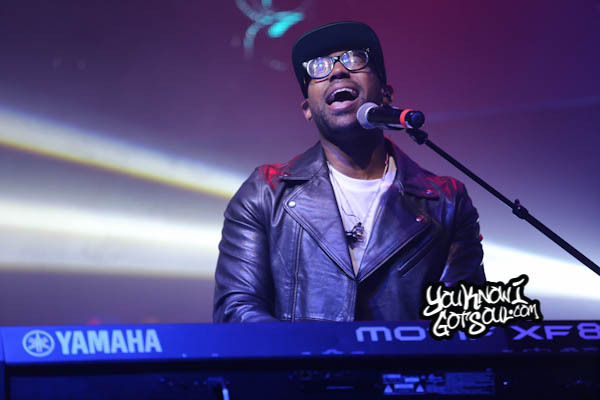 YouKnowIGotSoul: Your new album “Game Changer” is in stores today. Talk about what you set out to create with this body of work? 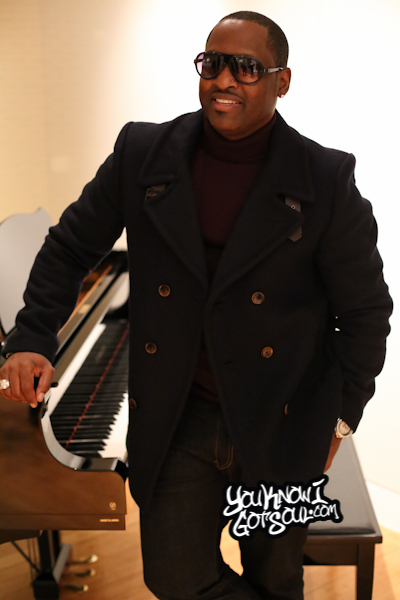 Johnny Gill: I just want to bring my type of music. Not to say my type of music is the real music or the best type of music that’s out there, but for my genre and era of fans and myself, just want to bring my type of music to the fore front. 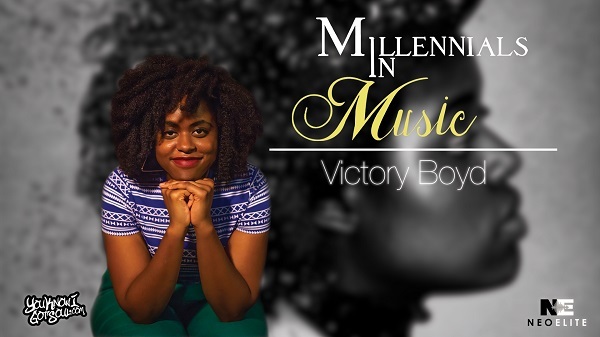 I want people to just enjoy some straight, good, traditional and mix in contemporary r&b. Something for everybody but most importantly never comprising who Johnny Gill is and always will be. Just great music. I want people to enjoy it and push the play button and don’t do anything else. YouKnowIGotSoul: How involved were you in the creative process in terms of the writing, production and everything? Johnny Gill: I was totally hands on in everything, I built it from the ground up with the producers and co-writing and coming up with some of the concepts of the songs. It’s a combination of a lot of things and I don’t want to take the credit by myself because I had a whole team of people who have been involved and helped me put this record together. I can go down the list but I might forget somebody. I have a great staff of people that have been beyond incredible. YouKnowIGotSoul: You released this project on your own label. What did that allow you to do and what made you want to go that route? Johnny Gill: In today’s game, we are as we get older, not celebrated for being around for many years. They call us old school which somewhat penalizes us. I feel like I’m nowhere near old, and call me old school if you want because I’ve been doing it for 31 years, but I sure as hell don’t feel it, and I’m not about to be in that genre being completed locked into perceived that way. But that’s the way that the industry and society kinda looks at things. I felt like it was important to be able to put out the kind of music that I want to put out and continue to do what I do without having to look at or be put under that type of microscope or being perceived that way. Overall, having my own label allowed me to have control over my life over my music over my business and it was well deserved after 31 years to do so. YouKnowIGotSoul: To be around for 31 years in the industry, what really lead to your consistency over the years? Where does the drive come from? Johnny Gill: The appreciation. I often say I’ve been to the Promised Land. When I say that, I’ve had number 1 records, I’ve played in front of hundreds of thousands of records. I’ve done all of the things we’ve all dreamed about doing with what we believe this business is about. To be able to look back and have that stuff documented and written in stone, it’s like this is about fun time and enjoying it. I don’t need a view from the top of the mountain. I just want to have fun and enjoy it. I have even a greater appreciation for it today than I’ve ever had because it’s still an opportunity to do what I enjoy doing and to still be doing this 31 years later. That’s incredible. YouKnowIGotSoul: I know a lot of music fans are excited about the New Edition song you have on this project. What was it like getting together with them and making new music again? Johnny Gill: Well we haven’t recorded since 2004 but I’ll tell you it was fun. Sitting in there and doing that and recording, we kinda got the bug and started talking about setting dates and times to get in here and do a New Edition project. Something great came out of that and it was all due to the fact that everybody came in to support me, something I’m very grateful for. We nailed the song, it’s like a straight up New Edition just being grown folks and singing grown folks music and I think we nailed. YouKnowIGotSoul: How is the creative process different now than it was then 31 years ago? Johnny Gill: So many things have changed. Just the process of how we record today has changed. From back 31 year ago you had to slice the tape to now when you’ve got Pro Tools, Logic and other software you can record and do things to make the process a lot easier. Still, nothing will take the place of being talented and being able to sing and do what you do. Just the process makes it a lot easier now. I probably would have had more fun and enjoyed it more recording even back then if we had been in this place with technology where it just allows you to get through the process a lot faster. 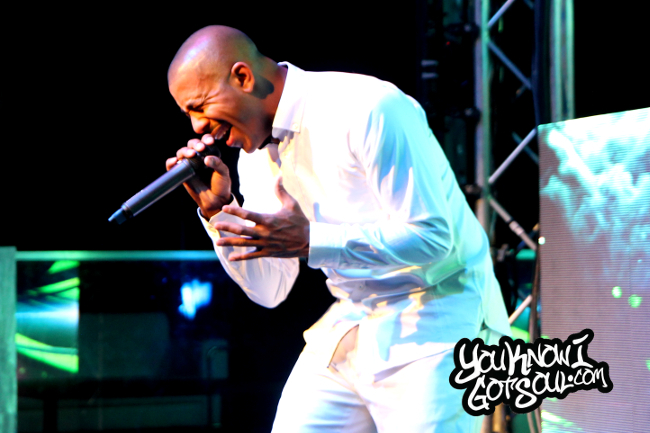 YouKnowIGotSoul: You spend so much of your time and energy touring and performing with New Edition. 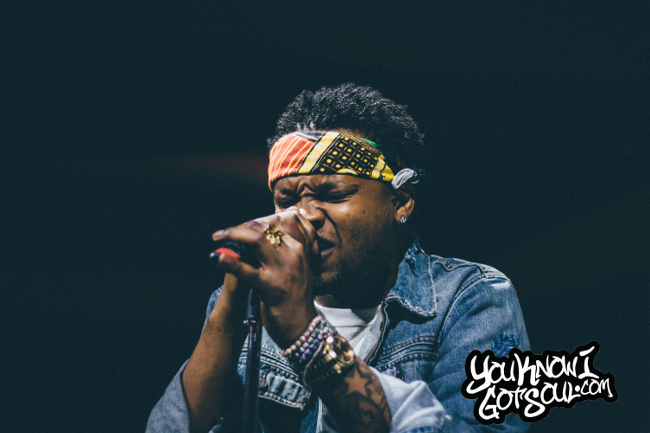 How tough is it for you to pull away from that and get into your own creative space as a solo artist? Johnny Gill: It’s never tough for me. Whether it’s new Edition, Johnny Gill and Stacy Lattisaw, LSG, Heads of State (myself, Bobby Brown, and Ralph Tresvant), it was always about balance for me. Because I have the outlet to creatively do what I want to do as a solo artist, it allows me to go into the group and be a team player. It’s important to find balance and that’s why I enjoy all of these different things so it allows me to. For me, I don’t get bored. It makes it exciting for me. YouKnowIGotSoul: Being in different groups and experiencing different collaborations, who is someone that you really are looking forward to working with in the future? Johnny Gill: I definitely want to work with Mary J. Blige, I definitely want to work with Jennifer Hudson, I definitely want to work with Fantasia. Also Jennifer Lopez. I want to step outside of the box in doing some things that I haven’t done but never compromising the integrity of who I am as a vocalist. I’m a musician too so I like trying different combinations because that’s how we come up with things and that’s what inspires my creativity to keep flowing. 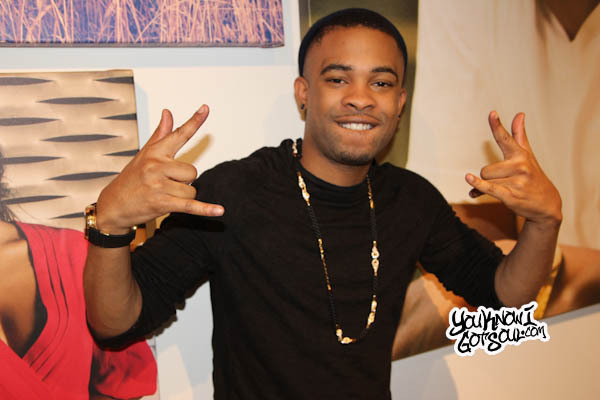 So I want to work with those ladies, but I’d also like to work with artists I have in the past like Trey Songz, Ne-Yo. Just great talented artists. YouKnowIGotSoul: Do you have a favorite song to perform with each of the groups you are a part of, LSG, New Edition, and Heads of State, and also solo? Johnny Gill: Wow, there are so many songs! If I had to deal with each group, I would say with LSG “My Body”, with New Edition “Can You Stand the Rain”, with Heads of State, I normally use in my solo set “There U Go” which has always been one of my favorite songs from the “Boomerang” soundtrack. It varies, it really varies. 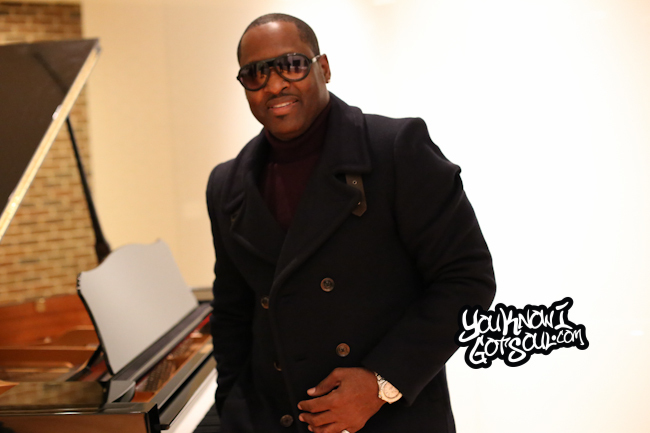 Johnny Gill: “Game Changer” is in stores. Please go get it and check it out. Please understand when I say I’m changing the game, it’s not from an arrogant place, it’s from a place of honesty saying there are still people out there who still enjoy the traditional side of r&b and should be taken into consideration and respected. I hope that people will understand and look at it and see it from what it is and just appreciate it.